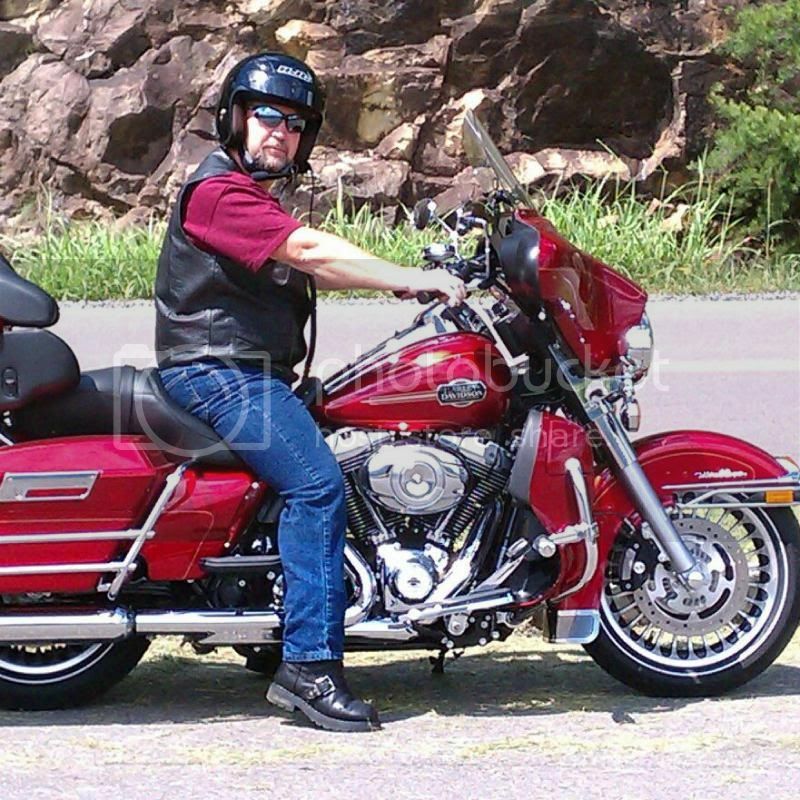 I have a friend who bought a brand new 2012 Ultra Classic (NOT a Limited or Screaming Eagle) last year. His machine is beautiful. He put some Rush Slip on Mufflers and a HD stage one air cleaner and got something down loaded before he took delivery as I recall. Now he wants to removed the catalytic converter and put on true dual Rush header pipes on and continue using his Rush Slip on mufflers. He tells me some folk told him that Rush Products are inferior or not quality and he should maybe reconsider. Question: What are the opinion of folks on our beloved site who have used Rush Products proper? I am trying to help my friend. I am clueless about Rush exhaust stuff. Hope to get some feed back. 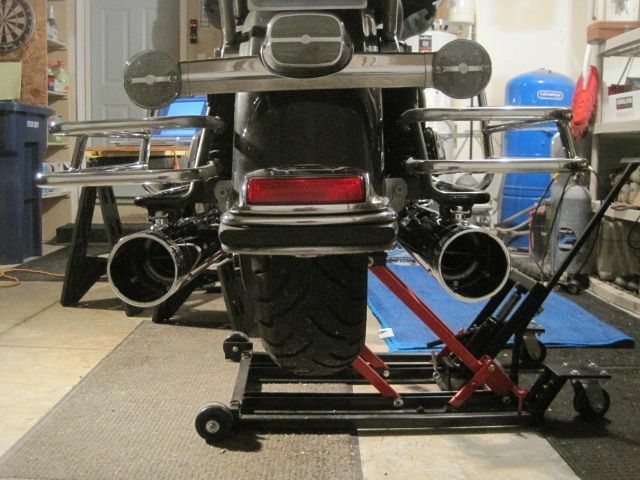 For the most part I like Rush and had good luck with them, but if search the archives in this Forum I started out with Freedom Duals and Rush Mufflers with 2" baffles when first did Stage 1 my 09 Ultra and in less than a year one of the mufflers split and replaced them with Pythons which held up nicely.. In fact one of our members here Malfunctional is running the Pythons on his 2006 EGS .. I think the most reasonable set of Pipes I ever bought was the Rinehart 2:1's for the Price and Performance got from them thought they were the best bang for the buck ever on the many exhaust set ups I have bought .. With the Thunderheader 2:1's on the FXR4 a Close Second .. Will just close saying I think could find a better set of Headers for just a little more money than Rush and could still use his Rush Mufflers .. I'm with ultrat. Rush makes a good product, and I ain't sorry. I installed a set of their new 2into1 ceramic coated pipes on my 09 ultra back in March or April. The ceramic coating is supposed to reduce felt engine heat by 300 degrees. It's hard to say how well that works since I got rid of the cat by installing the rush pipe, and that obviously reduced some of the felt engine heat as well. Being 100% honest here! I think fuel Moto's pipes are better quality (they are ceramic coated stainless steel and my rush are ceramic coated carbon steel) but the fuel moto pipes were not in my budget at the time. As far as customer service goes, Rush is FANTASTIC. Clint gave me a cell number to a guy he knows that works at rush, and he helped me pick out the pipes I have now. I shopped around and found the best price on them at J&P cycles. It ended up being a big enough savings for it to be a good idea to buy a "gold club" membership at J&P cycles (I'm thinking that was like $30...and it saved me more than that). Ironically enough when I went to buy what I needed for this cam install I am about to do....J&P was WAY more expensive than everyone else (Even with my "gold club" membership). in closing I would argue with anyone who says these fine "Hoosier made" pipes are "cheaply made". There isn't much to making an exhaust pipe that could be called "cheap", and I would call anyone out saying that to back their mouth with fact. These pipes are mandrel bent ( the same as more expensive pipes) they are just as thick as any other pipe. I guess maybe someone could argue they are "cheap" because they are not stainless steel....but then they would have to call factory moco pipes cheap too. Also....to my knowledge....Rush and fuel moto are the only pipe manufacturers out there using ceramic coating to reduce felt engine heat. 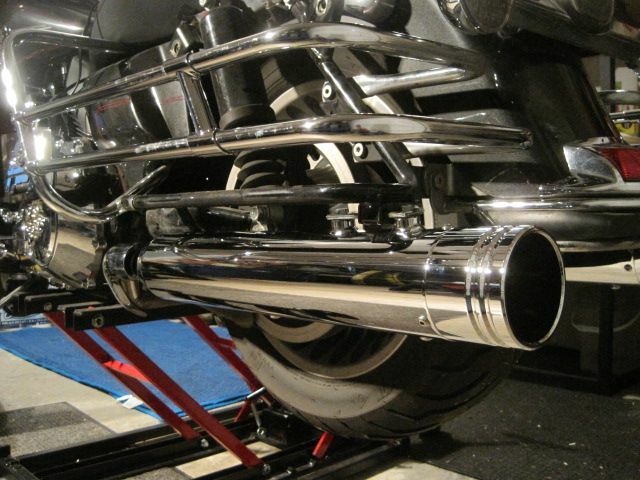 PS another Mark of quality when it comes to mufflers is interchangeable baffles. I purchased a 2 inch baffle in addition to the 2-1/2 inch baffle my Rush muffler came with. I now have the option of turning my pipe volume up or down! Last edited by clutchglass; 10-23-2013 at 08:38 PM. Had them in a 2 " on my 07 Electra Classic and loved them ! I have Rush slip on's, haven't had the money to put a stage 1 or pull cat out yet. As for the product, I like them and they don't look cheap at all. I have put about 4,000 miles on the pipes this past summer and haven't had any issues. I run the 4in Rush Big Louie's with custom tips. Great quality, sound and customer service. As far as head pipes go, Rush has been around for too long to be making inferior products so 'd say that your bud will be fine with the Rush TD's. I know for sure that they will stand by their product.. Thanks a heap for all the replies. You guys have just helped a fellow rider. Again...THANKS! This is my Pal...who you just helped. He is loving his machine! Last edited by Embellishment; 10-24-2013 at 07:39 AM. Hay... I'm working my "Irish Charm" to do just as you said. More the merrier!